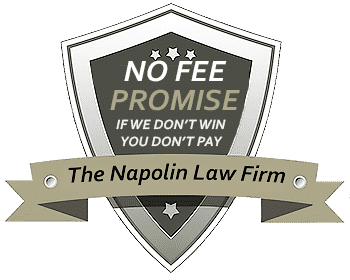 Why Should You Hire an Experienced Personal Injury Attorney? When a person finds themselves in a personal injury situation, at some point they will consider moving forward completely on their own. If they've been in a car accident that was no fault of their own, why should they hire a lawyer at all? They're looking at a pretty cut and dried scenario from a legal perspective, right? Not necessarily. There are always a number of important reasons why you should hire an experienced personal injury attorney that you need to be aware of before you make a decision one way or the other. Perhaps the most important reason to hire an experienced personal injury attorney is exactly that - experience. Personal injury attorneys typically have years of experience with cases exactly like the one that you now find yourself in. They can typically tell fairly early in the process whether you have a valid claim that is worthy of taking to court or whether your situation is one that you probably won't win in front of a jury. In the event of the latter situation, it can instantly save you a huge amount of time, money and energy that would otherwise be spent preparing for a court case that you would walk away unsatisfied from. Another important reason to hire an experienced personal injury attorney comes down to the vast network of resources that they have at their disposal that you otherwise wouldn't have access to on your own. Attorneys commonly work with a team of licensed and experienced investigators, for example, who can examine all of the various technical aspects of your case to compile the most accurate information to be used moving forward. These people can interview witnesses, examine the scene of the accident, review laws and more - all of which will help present the best possible argument in front of a judge. One of the key reasons to hire an experienced personal injury attorney that many people overlook comes down to objectivity. If you've been in a car accident or are involved in a slip and fall case, for example, it's understandable if emotions are running high. You've been injured, so you're probably mad at the other party in the situation - as you should be. However, this state of mind is hardly the best for making the most informed, actionable decisions about your case. A personal injury attorney will be able to put aside feelings of frustration and anger and can help you take the absolute best steps moving forward given the situation. Another major benefit that you'll get from working with an experienced personal injury attorney that you won't have access to on your own comes down to a deep experience with insurance companies. Insurance companies typically use tactics designed to confuse or disarm claimants, which can stand in the way of you getting the compensation that you are entitled to. Because of the years spent working with many different types of insurance companies, this is something that you don't have to worry about with a personal injury attorney at your side. One of the best parts of working with experienced personal injury attorneys is that they often offer free legal consultations to go over the specifics of your case to help determine exactly where you stand and what you should do next. This takes any financial burden away in an instant, as you don't have to pay money to an "expert" only to quickly have that person tell you that you don't have a case. A personal injury attorney can tell you exactly what the most likely outcome is, outline the steps that they would take should you hire them and help you determine whether to accept a settlement, take things to trial and more - all before you spend so much as a dime.